Your baby’s first pacifier or a new one can be "coated" with shiny metal of your preference and become a unique Shine4ever memorabilia! For a more personalized gift we can engrave a name, a date by laser, handmade only by Shine4ever.gr. It can also be offered as a special gift which will decorate the most lovely corner of your home! Even if you don’t have one… we can buy it for you! It is sent to you in a gift box and it is accompanied by a certificate of authenticity and guarantee of our workshop. Photos are indicative of pacifiers that we have already created. 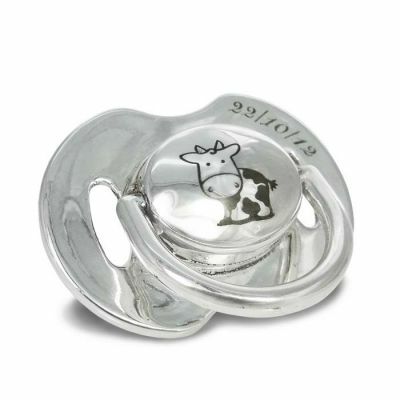 Order now your own baby pacifier today or offer it as a special gift. It’s a wonderful feeling to be able to keep a memory shining forever! It’s the need to move along with objects that at a certain point played an important role in our life. This was the idea behind in what we do today in the field of art and creation. All started in 1963, when the creator of this technique, Lefteris Philippakis, had the inspiration to design items using various metals, www.philippakis.gr. Our engagement with various metals, such as, copper, silver, bronze, silver-plating and gold-plating, drove us through the years to understand that we can “coat” various items and create unique pieces of art. Our art has various forms! It can give a piece another look, another color; it can transform a piece of melted wax into a unique book-stand. It can give “life” to your baby’s first shoe, to a seashell that you once found on the beach, to a plastic toy, to a lucky charm. Our love for differentiation and uniqueness drove us through the path of pursuit, to create objects that are related with our everyday life and that we can make them shine for ever!!! 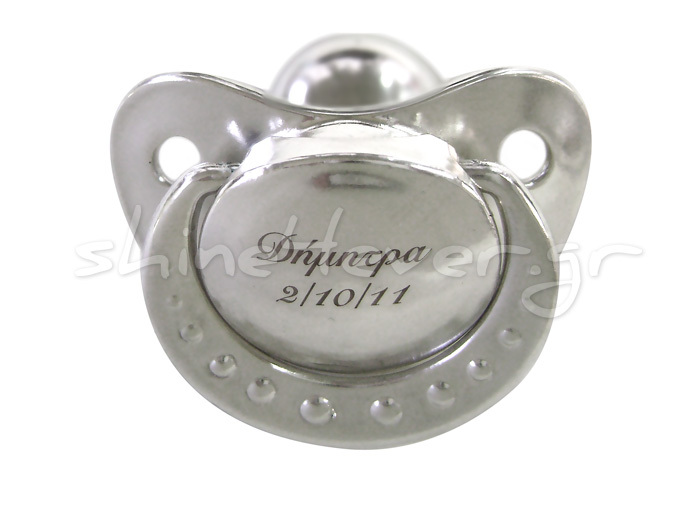 Preserve now your baby’s first shoe, in a lustrous solid metal coating for a lifetime of enduring beauty. Craftsmen with taste and zeal work by hand the objects in order to prepare them to “wear” their new clothes with the method of Electroforming. Shining precious metals, silver 999ο and 24K gold-plating, can transform your favorite object into a piece of art, ready to decorate a corner in your home, or to be offered as a special gift! With Shine4ever the “fairytale” … comes alive and lives forever! *Shine4ever.gr is a brand name of Philippakis Art workshops in Athens, Greece.